BeMRCOG Ltd. is a company that specialises in training students who plan to sit in MRCOG Part II and III exams. MRCOG is an abbreviation of Member of Royal College of Obstetricians and Gynaecologists. Where is BeMRCOG Ltd. based ? BeMRCOG Ltd. is situated and registered in London, UK. Does BeMRCOG Ltd. offer services to students for specific countries only? No. It’s an equal opportunity service provider welcoming students from all over the world regardless of their country of origin. What are the benefits of free registration? Any changes to our policies. What is the difference between registration and subscription? Registration is free of cost and includes all benefits mentioned in question 5 above. Subscription is a payment made to enrol on a course or a seat in a Live online event. How I can create a PayPal account? Creating a PayPal account is a simple process. You have to follow the prompts on the screen. It will ask you some personal information and a valid email ID. Do not hesitate to share your information with PayPal because it is safe and secure. What if PayPal is not available in my country? In this situation, you can pay using the Credit/Debit card. If you still face issues, please contact BeMRCOG help-desk either by live chat or by email at help-desk@bemrcog.com. Our refund policy as stated in T&C is as follows: If within 24-Hours of subscribing for a course, you wish to unsubscribe to our course(s), please email us at help-desk@bemrcog.com. You should refrain from using the Courses thereafter. A full refund will be made excluding the Paypal/WorldPay service fee and other bank or transaction charges (if any). Continuous access to the courses after requesting a refund completely invalidates your claim. If you unsubscribe after the 24-hours of subscription, no refund would be made. Because of limited seat availability and early bird registration deadlines, once booked, there is no refund for live webinars and workshops. However, the reserved seat can be transferred to another person if the candidate makes such arrangements on his/her own. BeMRCOG Ltd. is neither liable nor bound to transfer the seat accordingly and may reject to do so. What makes BeMRCOG different from others offering similar courses? We respect our competitors but we offer several distinctive features that are unique to BeMRCOG Ltd. We are a registered UK organization and offer individualized services at best competent fees. For more information please visit our comparison chart and unique features. Please note that for most of our features, there is no comparison available, because no one else offers these services. 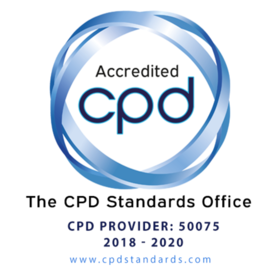 Yes, our courses are CPD accredited and attendees/subscribers are eligible to get the certificate of attendance after submitting feedback on the activity. Is English the only means of communication? Yes. Being an international language, English is the only means of communication. If a subscriber cannot pass the exam in the stipulated period, will he/she be offered a discount on re-registration? BeMRCOG Ltd. has a standard fee structure with no discounts. However, our subscription packages cover more than one attempts to the exams. Can I pay the fee in instalments or have low-privileged countries discount? We do not have an instalment or low privileged countries discount policy. However, most courses have various packages to make them economical. Are registered attendees obliged to subscribe for your program? No, it is entirely your choice and does not affect your access to facilities as a registered member. You can enjoy our free of cost CPD accredited tutorials within registration benefits. Does BeMRCOG offer employment opportunities to Subscribers upon clearing the exams? We do not make any such commitments but if we seek recruitments we post jobs online and we are an equal opportunity employer. How much time is required for the preparation of the MRCOG Part 2 exam? OR I want to sit for the exam after 2-months. Is this time appropriate enough for the preparation? The exact time duration for the preparation of MRCOG Part 2 exam varies from one candidate to another. In our experience candidates sitting the exam for the first time require a minimum of 6 months. A resit candidate may find 3-4 months sufficient. How much time is required for the preparation of the MRCOG Part 3 exam? OR I want to sit for the exam after 2-months. Is this time appropriate enough for the preparation? The exact time duration for the preparation for MRCOG Part 3 exam is highly sensitive and varies from one candidate to another. But on an average 5-6 weeks can bring fruitful results if prepared with correct guidance and diligence. However, a non-UK based candidate may sometimes require more than a few months to learn and develop appropriate communication skills. Therefore, our Part 3 course subscription lasts for 1 year and covers two exams. CPD stands for 'Continuous Professional Development'. What are CPD credit points? CPD credits are now globally used to validate the competencies of medical doctors. These credits are granted on any accredited activities that you engage in, out of your work-place, but the activity does contribute to your professional development. How CPD points can be claimed? How can I earn CPD points at bemrcog? Most of the BeMRCOG courses/events are CPD accredited and relevant points are stated for each course in their course description. You can earn CPD points depending upon the course/online event you attend. All you need to do is to enrol for the CPD accredited course at www.bemrcog.com and fill up the feedback form at the end of the activity/tutorial. For instance, the 3-Day Intensive Course(Webinar) will earn you 21 CPD points when you attend and fill up the feedback form.